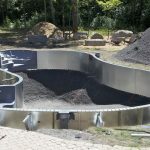 As the customer, you get to make the decision about the type of liner you want for your new pool. 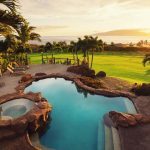 While your pool dealer or builder may have their preferences, ultimately the choice is up to you. 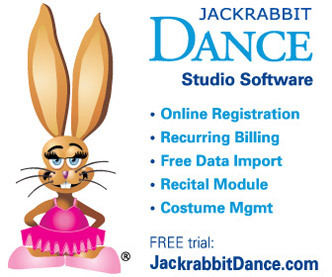 So let’s take a look at each of the three options available to you and objectively look at the pros and cons. After all, the best decision is always a well-informed one. You probably know the basics about pool liners. 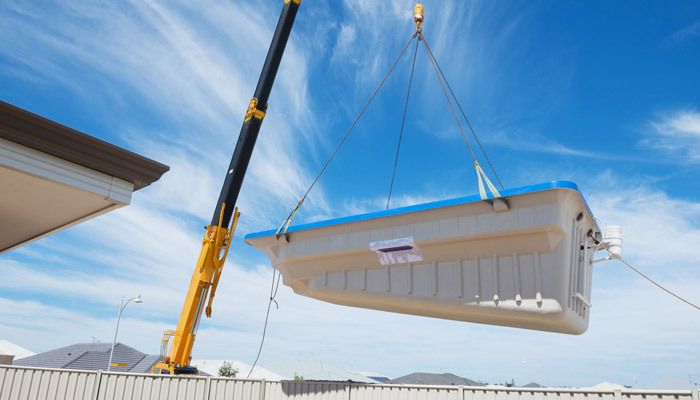 There are three basic options out there: Concrete, Vinyl, and Fiberglass. 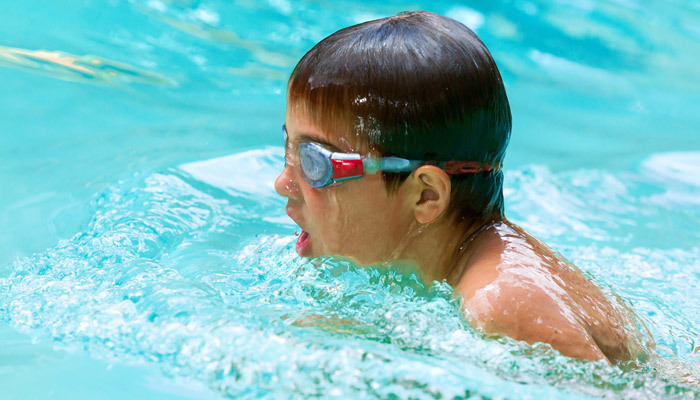 We’ll start with the most common liner type for personal swimming pools: Fiberglass liners. For the person using the pool, the fiberglass liner has added benefits. First, the non-abrasive surface is smooth and comfortable for your feet (and any other body part that touches the pool’s surface). Fiberglass also allows for steps and seating to be built into the pool’s shell. Other benefits of a fiberglass pool liner include aesthetics (they can be quite ornate and attractive) and fast installation. Because these liners are manufactured off-sight in a factory, they can typically be installed in about a month’s time. 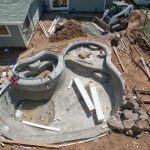 Critics of fiberglass pool liners dislike the fact that because they’re built from a mold, they limit your creativity when it comes to the shape and size of your pool. 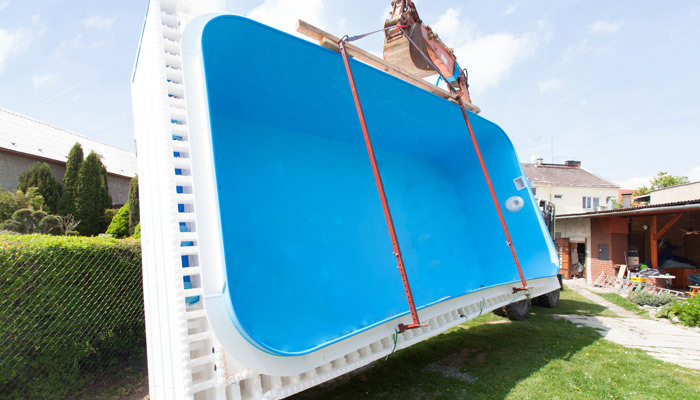 (Sorry, if you want a one-of-a-kind free form pool, fiberglass liners aren’t an option.) 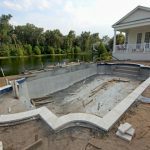 Also due to the fact that they’re made off-site, fiberglass liners are limited in size: because of shipping restrictions, a fiberglass pool’s width is limited to 16 feet. In addition, when a repair is needed, matching the color of your original liner might be difficult. 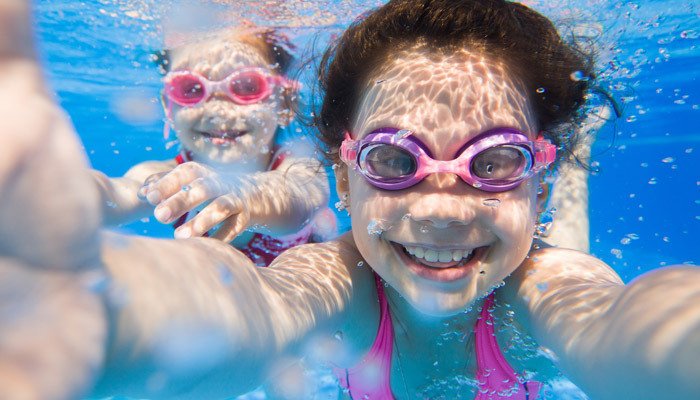 So do the pros outweigh the cons when it comes to fiberglass swimming pool liners? It’s completely up to you! It all depends on what’s most important to you. For instance, if you want to keep initial costs as low as possible or if you prefer a stylish shape or especially a large pool, then maybe fiberglass isn’t the best choice for you. But if you want a low-maintenance option that’s easy on the feet and can be quickly installed, then fiberglass might be just right!